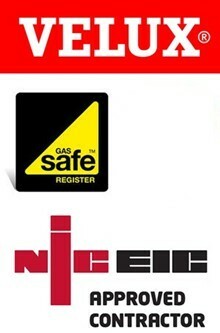 Local London Company You can Trust! Roof windows are often an attractive option for homeowners due to their ability to fit into the line of the roof; thus not necessitating any restructuring of the roof itself. The installation of such windows will provide the loft space with substantial light. A roof window conversion will sometimes not require planning permission, although they will always require building regulation approval (UK). A dormer is a window-featured extension of the roof, usually installed to provide more space and headroom within the loft, in addition to improved staircase access. Dormers are also popular due to the aesthetic enhancement to a property that they provide. In the UK, the installation of a dormer is subject to planning permission requirements from the local authorities. Loft conversions yield numerous benefits for homeowners, which may be the reason for their increasing popularity. Often, up to 30% of a property’s potential space is located within the loft area. Converting the attic will therefore provide a significant amount of room that may be used for a wide variety of accommodation; often a bedroom, bathroom, office, or entertainment room. It is widely perceived that a loft conversion will add a significant amount of money to the value of a property. Whilst the exact figure varies, many credible sources have determined that a professional loft conversion can increase a house’s value by approximately 20%. When you contract with Loft Conversion London, you can be certain that your London, N, N1, N2... house extensions project will be treated with the highest levels of professionalism. 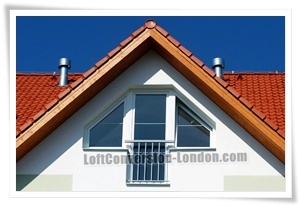 Loft Conversion London approach every project with the quality and care that has earned us our outstanding reputation. We provide quality work, reasonable pricing and high attention to detail without cutting corners. We build it right the first time, this is how it should be done. We Specialise In Loft Conversions Of High Quality. Contact Us Now! While you are thinking about it.